Our dedicated sales consultants are here to assist you every step of the way during your shopping experience at Competition INFINITI of Smithtown. 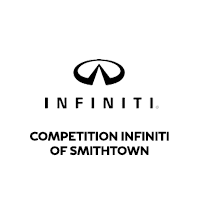 We are here to answer any questions and help you find the perfect new INFINITI at Competition INFINITI of Smithtown. Manufacturer recommended parts are an important part of maintaining your vehicle’s optimum performance. We offer the same high quality parts your vehicle was built with and we keep a large inventory of these certified parts in stock at all times. If you’d like to order a part, please fill out our online parts form.